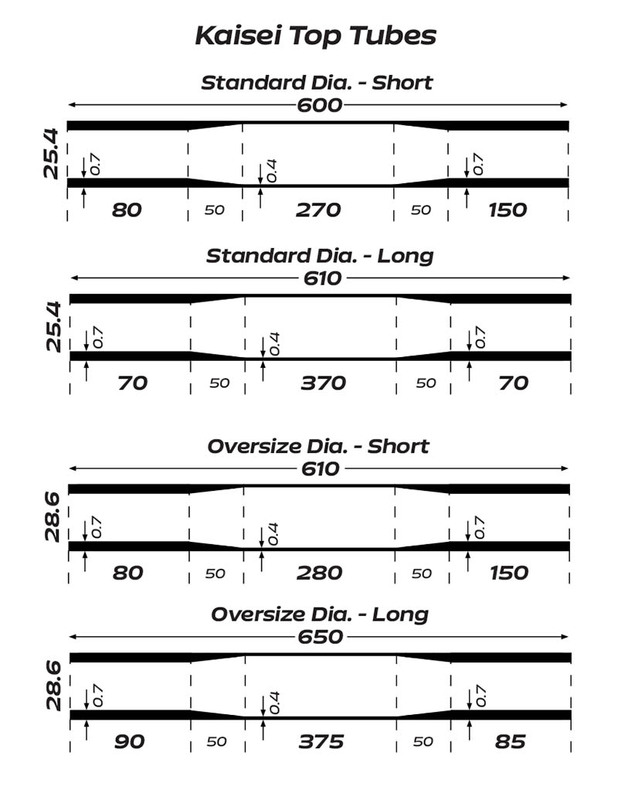 The tubeset for a bike with a stiffer feel, yet the flex characteristics of a superlight bike. The oversize down tube adds stiffness, but the standard-diameter top tube keeps the flex characteristics that make for a “lively” feel. Used on Jan’s “Mule”, this tubeset is ideal for riders who find the Superlight tubeset too flexible, or who want to carry a camping load on front low-rider racks. Standard-diameter top tube with ultra-thin 0.7-0.4-0.7 mm for optimized flex characteristics. The down tube has 0.7-0.5-0.7 mm walls for higher resistance to dents. The main tubes are heat treated for ultimate strength and durability. 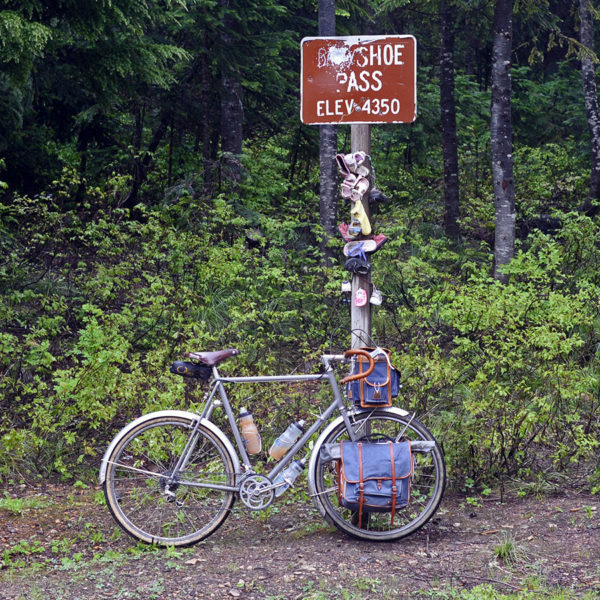 The performance of steel bikes has been perfected to such a degree that even today, steel is the material of choice for the bikes that take us on our adventures. Kaisei makes the best steel tubing in the world, widely respected for its consistent quality and perfect roundness. 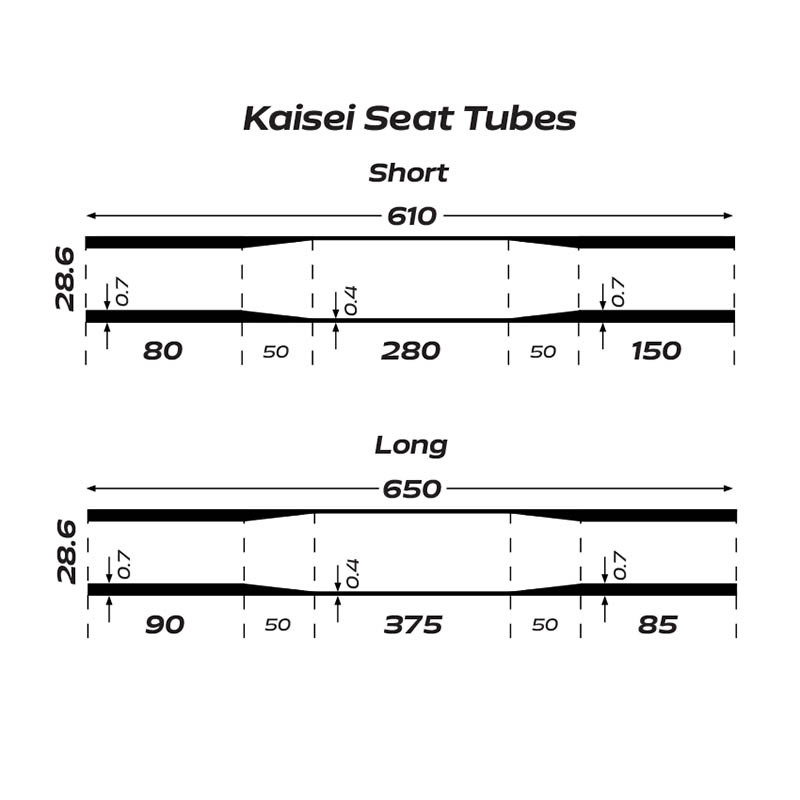 Long reserved for the track bikes of Japan’s Keirin professionals (who race on steel bikes), Rene Herse now offers Kaisei tubing in custom-drawn dimensions for modern allroad and randonneur bikes. 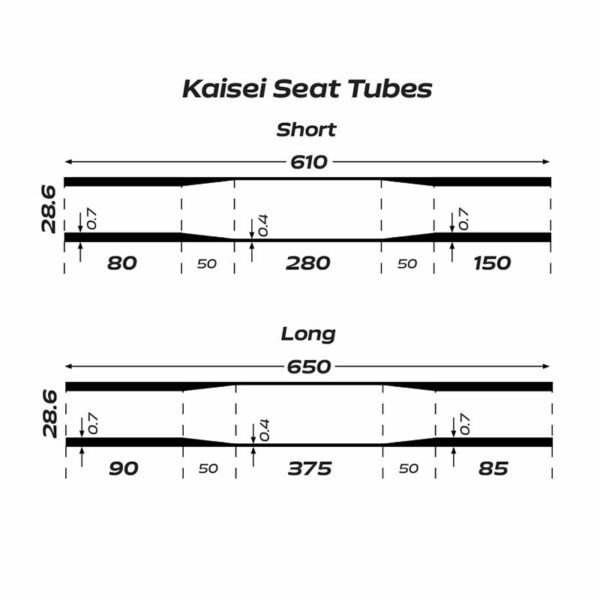 Click here to read more about Kaisei tubing and why even today, the best bikes are made from steel tubing. 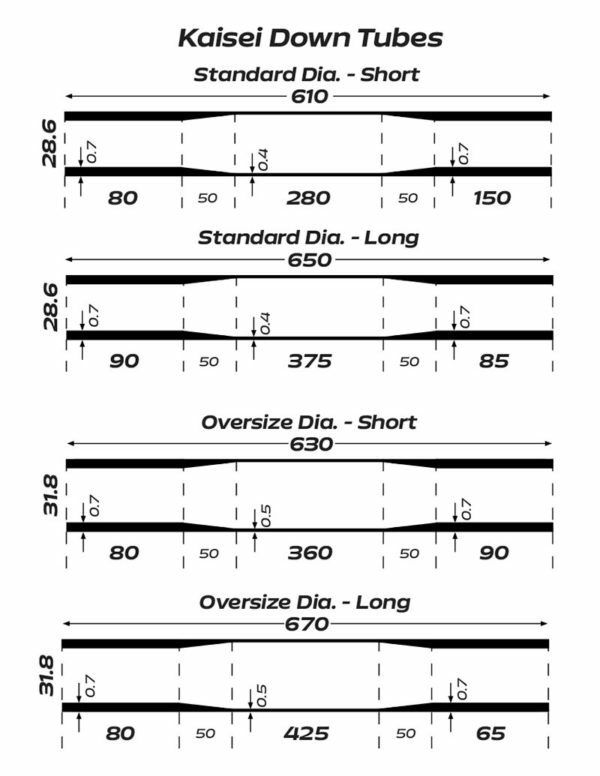 Check individual tubes for specs. Main tubes are heat-treated for ultimate strength and durability.